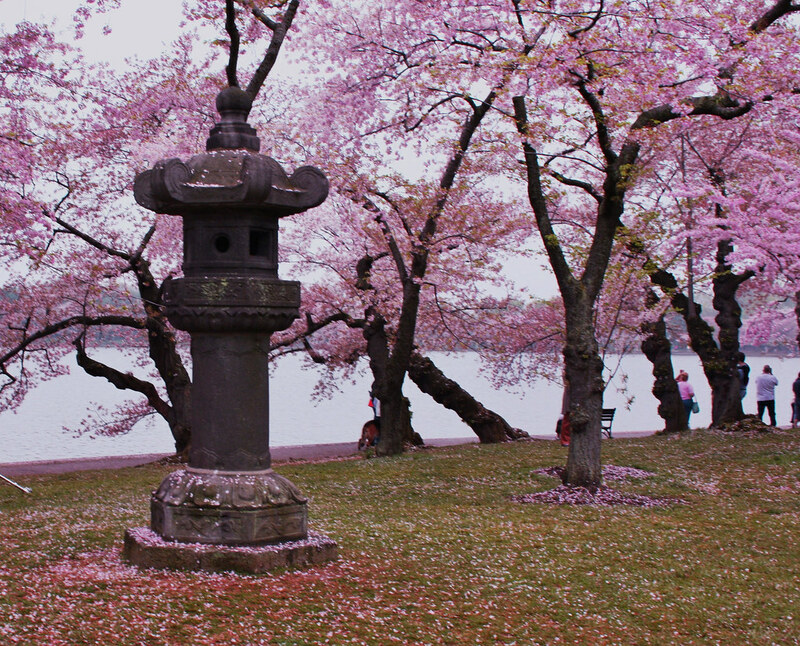 On March 27, 1912, Cherry Blossom (Sakura) trees were planted along the Tidal Basin in Washington DC. They were a gift of Friendship and Goodwill from the Japanese Government. The Japanese were thankful for the role the United States played in brokering The Treaty of Portsmouth which formally ended the Russo-Japanese War of 1904–05. 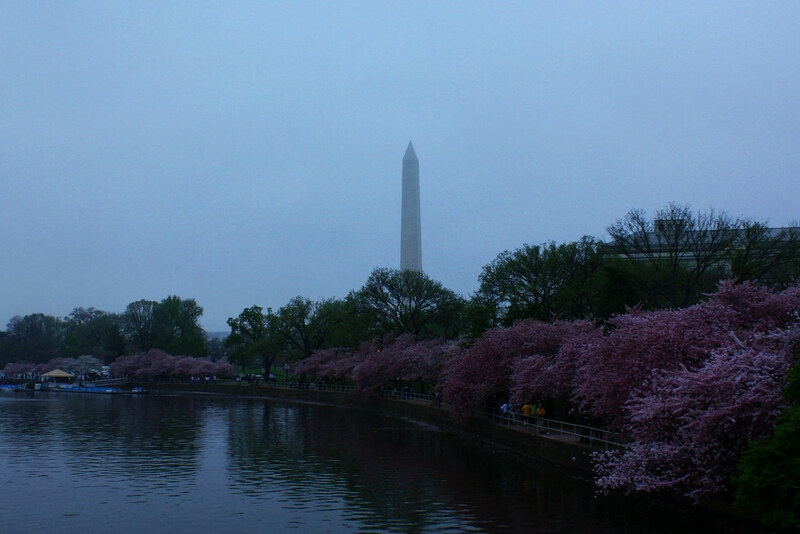 But the original idea for bringing the beautiful Sakura to Washington DC came from Eliza Scidmore. She worked as a travel writer and photographer. In 1885, she fell in love with the Cherry Blossom trees while visiting her diplomat brother in Japan and thought they would look lovely around the marshy area that had yet to be developed (later to be the National Mall and Tidal Basin). It took her almost 20 years to have her dream realized. It wasn’t until she caught the attention of Dr. David Fairchild that the plan starting to take shape. He was a plant explorer and an official at the Department of Agriculture. In 1906, he personally imported seventy-five flowering cherry trees from Japan and planted these on his property in Chevy Chase, Maryland to test their survivability this area. By 1907, encouraged by the success of their own trees, the Fairchilds began to promote the idea of importing Cherry Blossoms for Washington DC. By 1909, First Lady Helen Taft was involved which meant the White House was on-board and it all came to fruition within a few years. I’m not a fan of introducing plants or animals into an area where they aren’t indigenous. There have been too many destructive results from both intentional and unintentional introductions. As an example from a very long list, Fireweed (also known as Madagascar Fireweed) was discovered in the 1980s in Kohala’s cattle pastures on the Big Island (Hawaii). Many believe it was brought in via ground cover seeds from Australia where it is also invasive. The weed is toxic to cattle and is estimated to cost the Australian government and cattle industry over $2 million a year. Even the beloved Cherry Blossom trees were not without incident. The original two thousand trees had to be burned once they arrived due to heavy bug infestations. Despite the possibility of a diplomatic disaster, the risk to the native trees, plants and crops was too high to be ignored. Thankfully, another 3,020 Cherry Blossom trees were sent and haven’t had any negative side-effects on the local environment ~ unless you count too many visiting blossom stalkers. The 2015 Peak Blooms Prediction is April 11-14 which mean the blooming period will start a few days prior and can go for up to 14 days past the peak times. I’m excited I’ll be running in the Cherry Blossom 5K which is on April 12 this year ~ and hopefully the prediction is correct. The National Park Service provides much more historic details and information about the trees as well an event list for the Cherry Blossom Festival at their website. For those unable to visit Washington DC during the Cherry Blossom season, there’s a webcam for your viewing here. The live feed isn’t active yet but will be in a couple of weeks. Enjoy! We love the cherry blossoms. In the 1970s I participated in the 10 mile “Cherry Blossom Race.” It was great to run among the blooms. Once I passed the great marathoner Bill Rodgers — but of course, he was on the way back from Haines Point to the finish line and I was still going out. Cherry Blossoms are at their peak and there are a host of festival events happening during the next ten days. Missed the blossoms this time. Will have to come back. The blossoms are hard to time but worth seeing. I’m here visiting via Laurie from Life on the Bike. Great post. We can’t wait to visit and see them up close. Extraordinary. So glad Laurie included me in the meet up this weekend. Looking forward to meeting fellow bloggers. And I’m keeping my fingers crossed the Cherry Blossoms will be blooming! I’m excited to meet you, too! What fun. I am a friend of Laurie’s visiting DC for 10 days from the beginning of April, so will miss the peak blooms but will be able to see them pre-peak and am so looking forward to that! A great article – and I share your concern over introduced plants and animals – this however does seem to be an okay example! I’m so glad you shared the history of the Cherry Blossoms. I need to share this with the bloggers and also a link to the Cherry Blossom LiveCam. How cool! on Friday, 20 March, 2015 at 10:35 am | Reply Bill Jones, Jr. Very nice report. I can’t remember when the peak blooming period came this late; but given today’s snow, I don’t doubt it. Yes, the prime time is almost upon us. Thanks for the historical background, especially the role of Eliza Scidmore. All too often her role is overlooked. Good luck when you run the 5K. 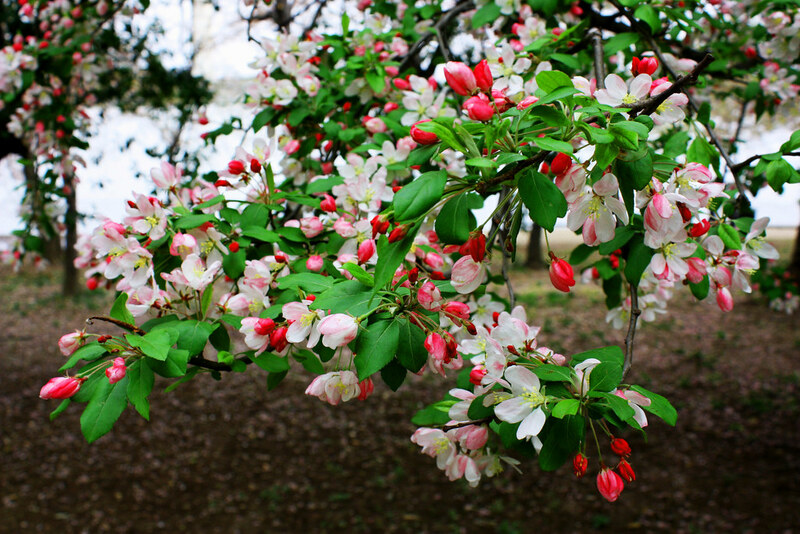 I’ll be out there (as will many others) with my tripod and camera trying for yet another image of the blossoms. Once I started researching the Cherry Blossoms, I was surprised Eliza Scidmore doesn’t get more attention. To be honest, I thought the Japanese were the ones who came up with the initial idea. Loved reading about her persistence! I really like the cherry tree pictures. The colours always amaze me. They are so beautiful but so brief. 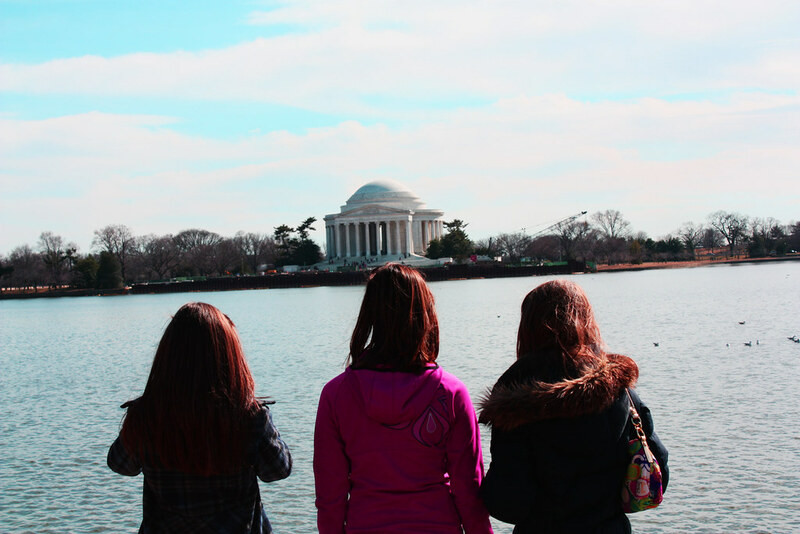 Here are some great things to do after checking out the cherry blossoms! 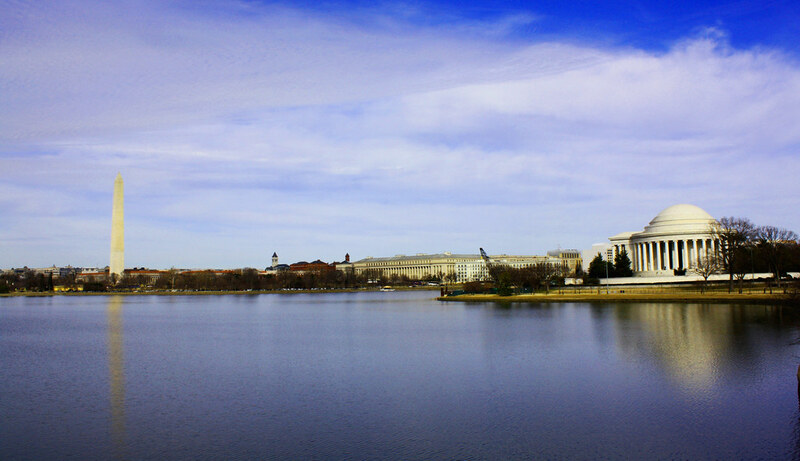 Thanks for the link ~ I’m always looking for things to do in DC. We’ve only seen the blossoms in DC once, but wow what a memory! Would love to go back! I’m looking into the Cherry Blossom LiveCam right now. Hopefully the live cam will begin soon. Maybe after our snow tomorrow. Love the photos! Last year I missed the blossoms by a week or two, but I would love to make it down there in full bloom! They are lovely but so brief. I love cherry blossoms! I have never seen one ever. 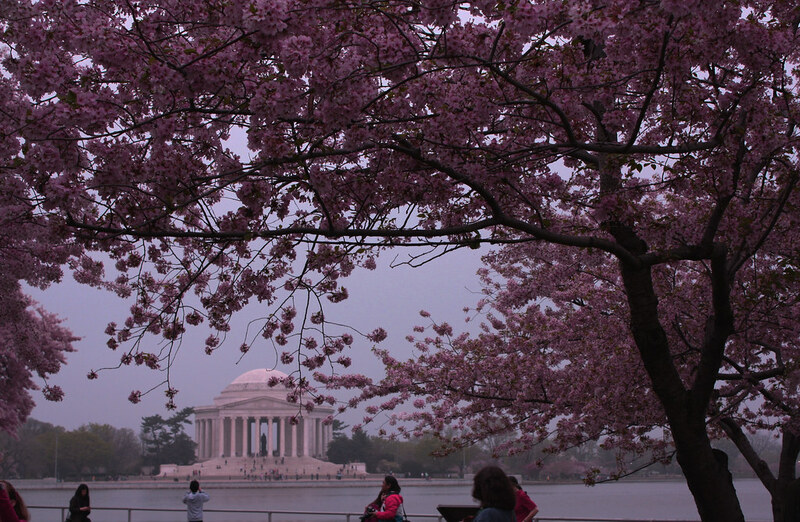 Be sure to keep a watch on the Cherry Blossom LiveCam ~it’ll give you an idea of how brilliant and beautiful they are.